Sometimes the best gifts are the most unexpected of the bunch. And although you’d be hard-pressed to find a classic registry with one of these bundles on it, they still make quite the fun present; one that commemorates the day nicely. Today we’re sharing 8 book series that you can purchase, wrap up, and give to your loved ones on their wedding day. Displayed on the bookshelf, used in times of need, accenting the coffee table, or cracked open and enjoyed throughout the year, there’s something for everyone to love and match with below. Let’s have a look, shall we? A Series of Unfortunate Events became an international phenomenon. And now you can get the entire series in one sleek, boxed set that your loved ones can enjoy for years to come. Again, this one is perfect for the fan or those that may already be hooked on the Netflix original show based on the story. It’s hard to find those that don’t have a soft spot for Tolkien, let alone Frodo. 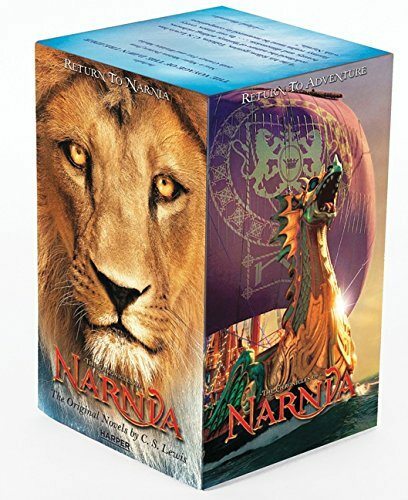 And this classic story set is just another great idea to give to your bookworm friends or family members. Offer this up as a congratulations on their nuptials and give them an innovative gift that can and will be something that they keep around forever. Maybe you’re looking for a more contemporary story, if so, Suzanne Collins’ Hunger Games is the perfect option. If the happy couple hasn’t read it already, they’ll thank you for it. And if they do, they’re already a fan and will love to have this foil-edition in their collection. Do you volunteer as tribute? So, this isn’t exactly a series – as in books that involve the same storyline – but it is a series of Jane Austen’s complete works. It’s a timeless set that will look gorgeous on mantles and on bookshelves in the study. But it’s also something that can be passed down between generations making a beautiful gift and tradition to start with a newlywed couple. Another fantastic present to start of their couple’s collection of entertainment, is the Harry Potter complete box set of course! Go a step further and add the Blu-ray collection while you’re at it for the ultimate source of fun for the happy bride and groom. This will become a family tradition in no time. Here we have another “complete works” set that will last for a long time to come and become a fun addition to an already-made collection. This is also a “mini” edition, making them not only a source of entertainment but decor too for nooks and crannies around their new home. Of course, it’s also a perfect gift for those that are already fans or lit lovers!